CHICAGO, Illinois -- Cursed by a Billy Goat, bedeviled by Bartman and crushed by decades of disappointment, the Chicago Cubs are at long last headed back to the World Series. 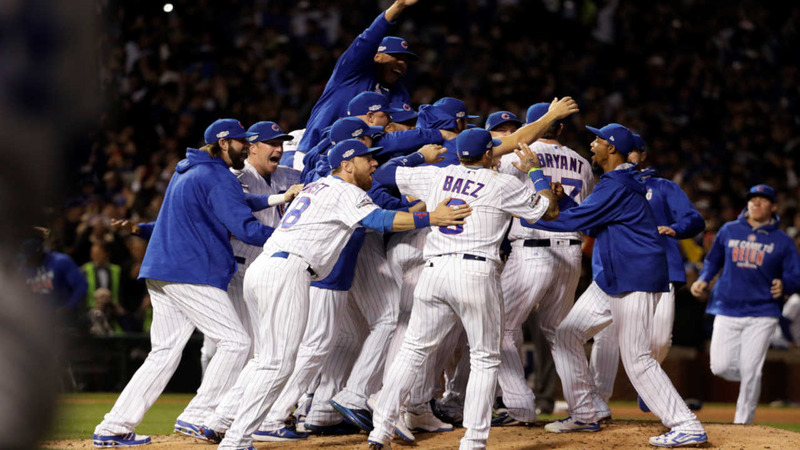 Seeking their first title since 1908, the Cubs open the World Series at Cleveland on Tuesday night. The Indians haven't won since 1948. "This city deserves it so much," Rizzo said. "We got four more big ones to go, but we're going to enjoy this. We're going to the World Series. I can't even believe that." Manager Joe Maddon's team, deemed World Series favorites since spring training, topped the majors with 103 wins, then beat the Giants and Dodgers in the playoffs. The eternal "wait till next year" is over. No more dwelling on a past history of failure - the future is now. "We're too young. We don't care about it," star slugger Kris Bryant said. "We don't look into it. This is a new team. This is a completely different time of our lives. We're enjoying it and our work's just getting started." Hendricks pitched two-hit ball for 7 1/3 innings. Chapman got the final five outs, then threw both arms in the air and got mobbed by teammates and coaches.